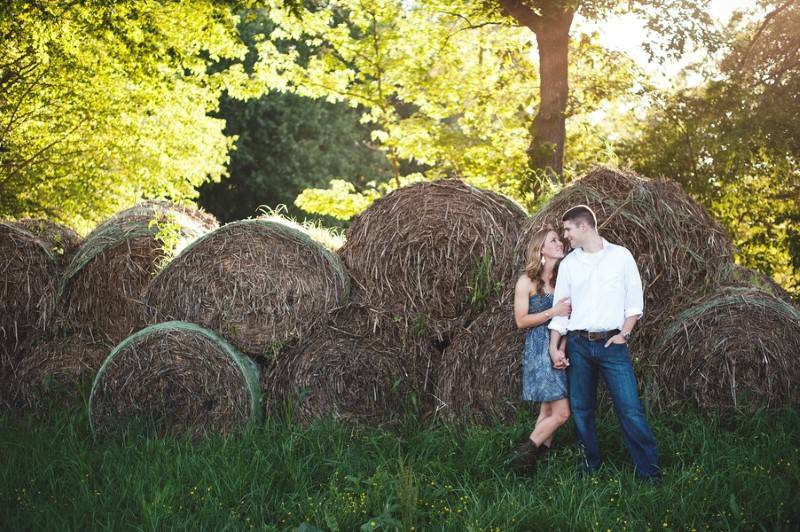 After having a civil marriage more than a year ago, Megan & Trey decided to have a real wedding to share together with their family & friends. 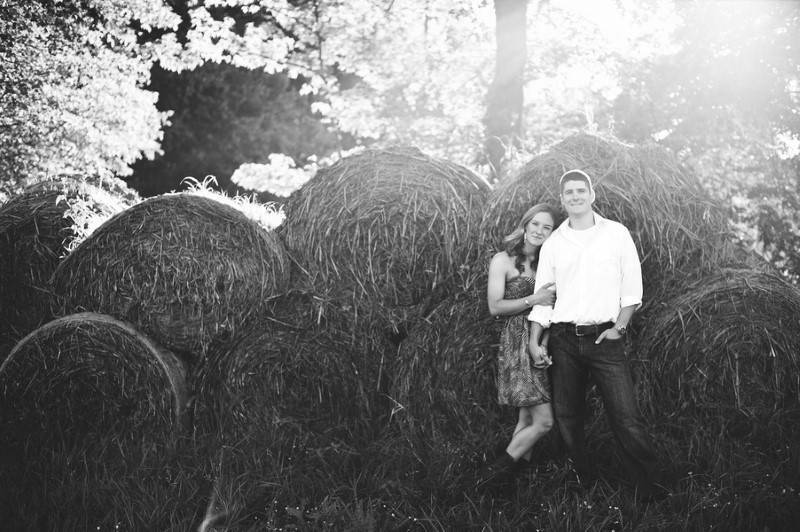 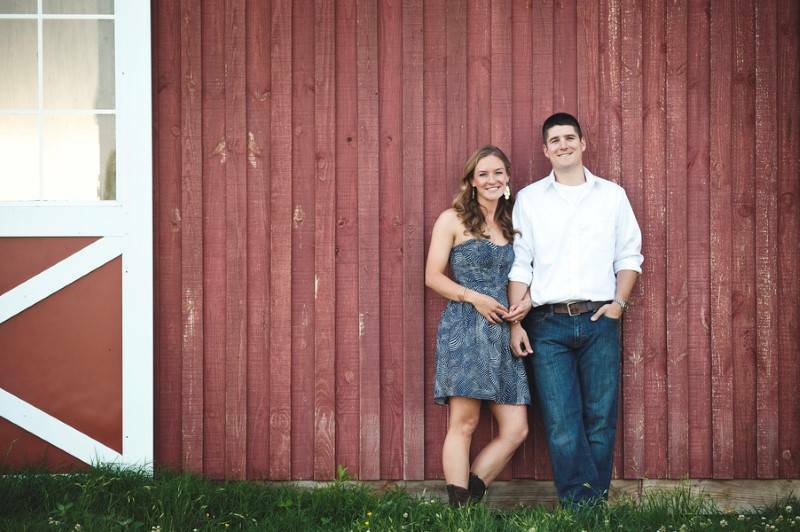 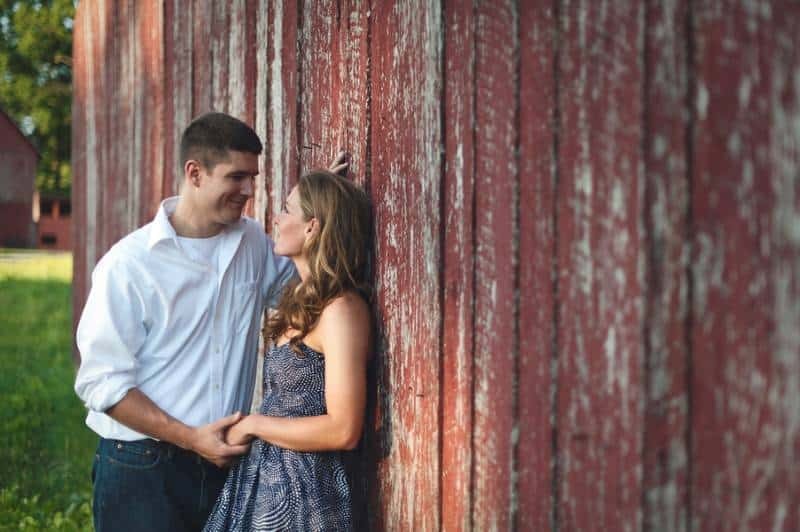 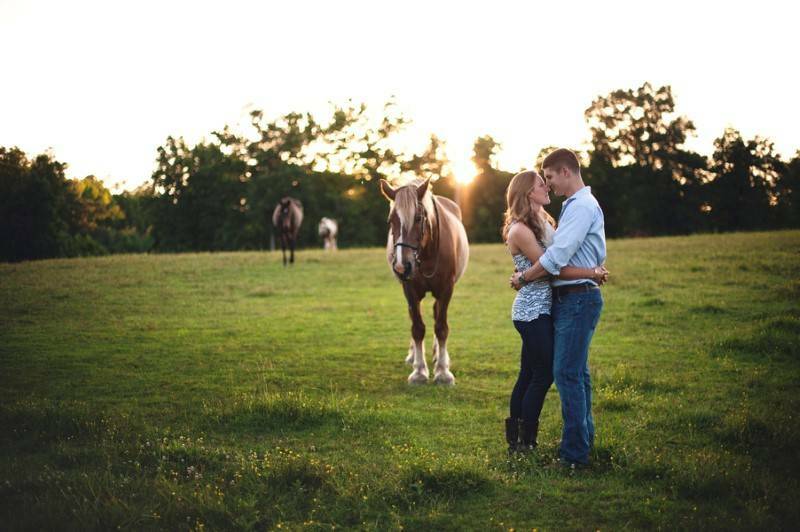 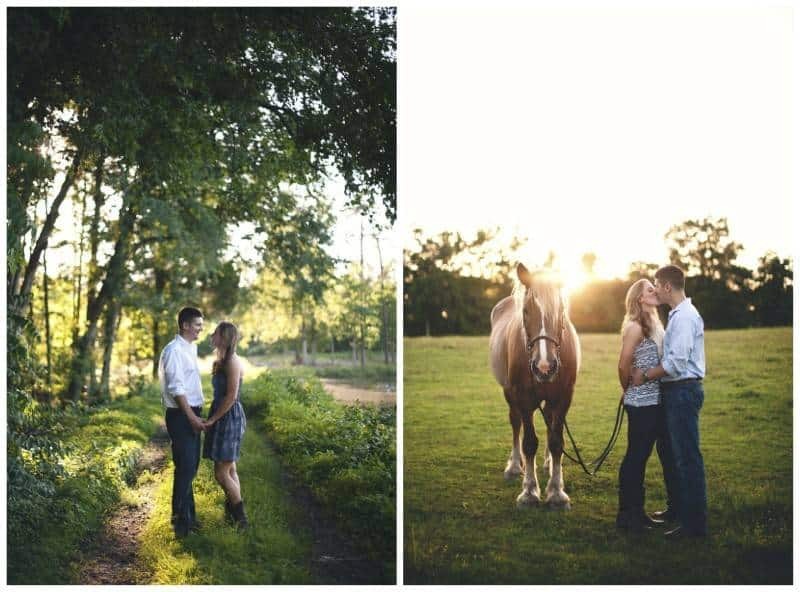 So we are thrilled to have the opportunity to share this fun farm engagement session by Allison Kuhn Creative. 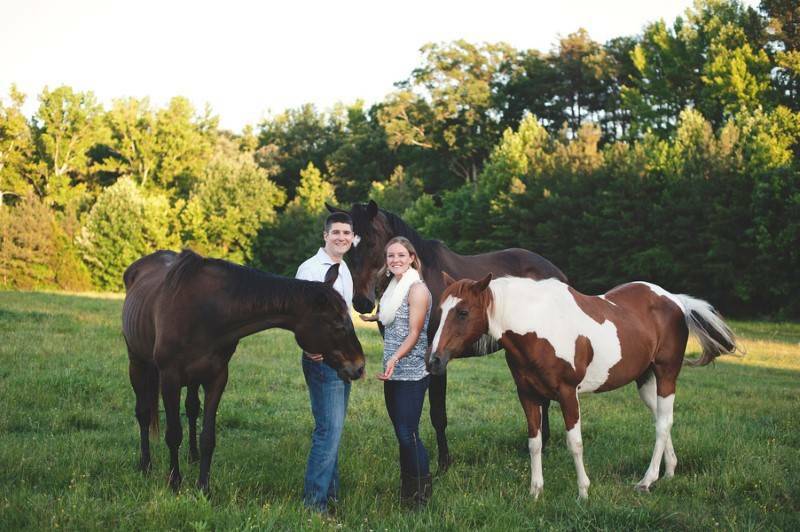 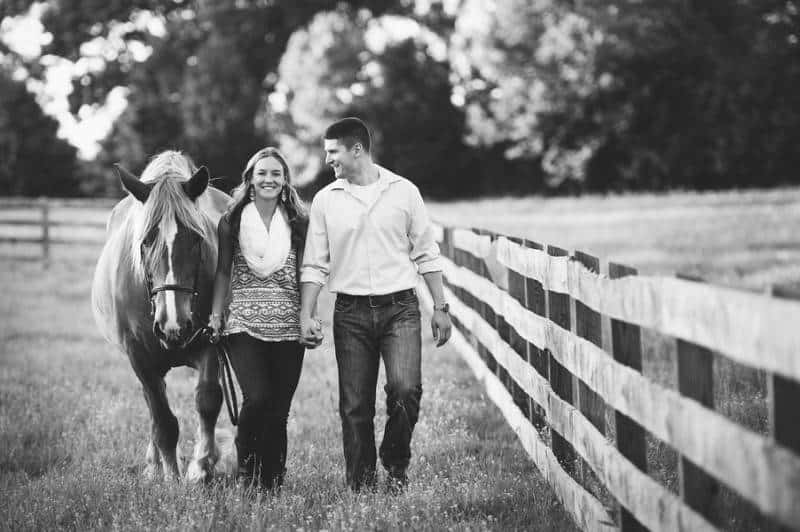 Megan is an Equine Veterinarian while Trey is an Air Force Pilot. 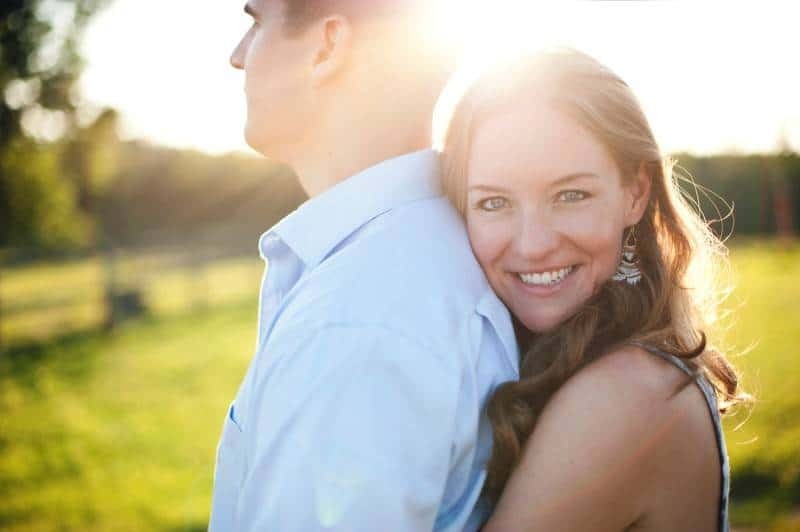 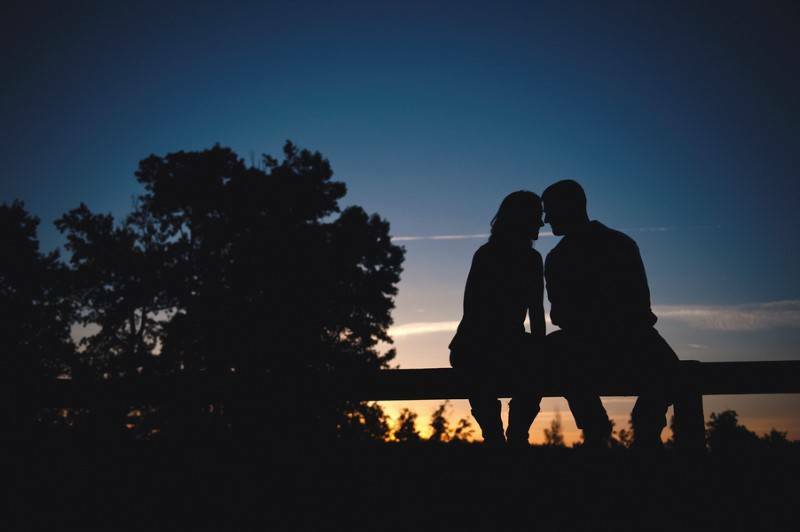 Their career differences kept them from living near each other throughout their entire 6-year relationship even after their little civil ceremony. 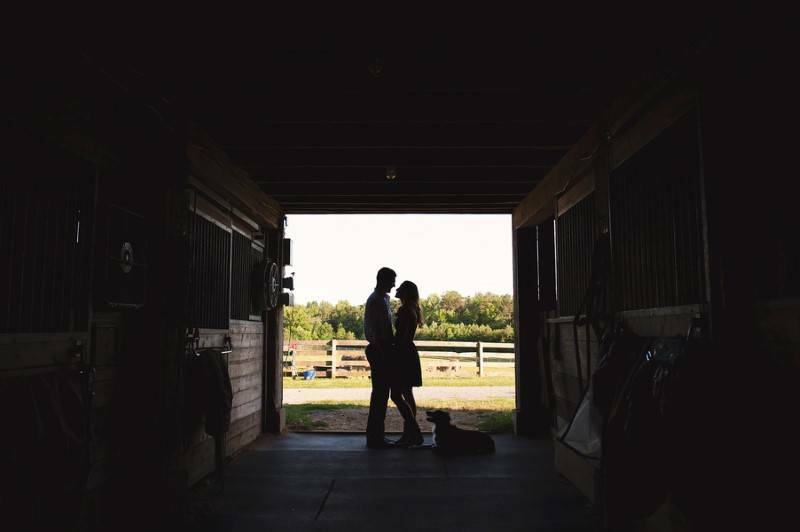 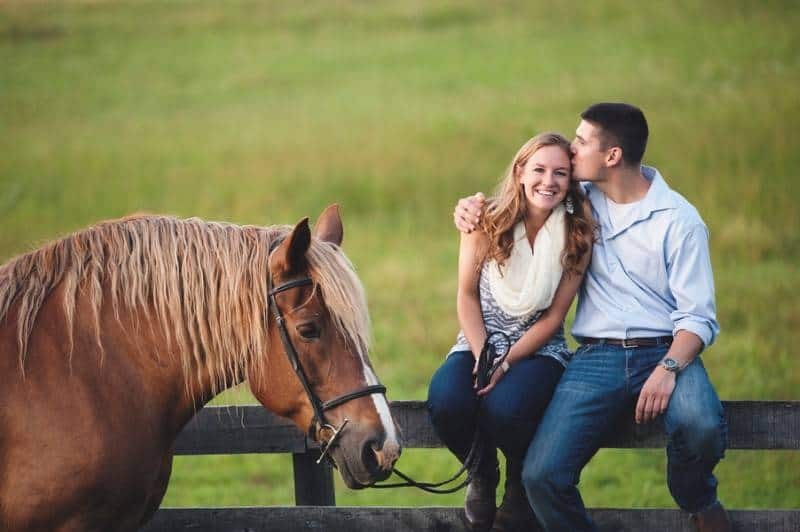 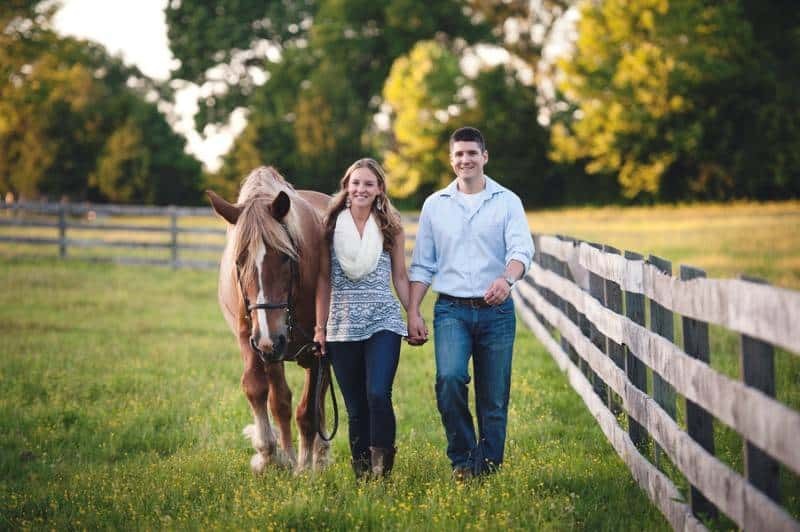 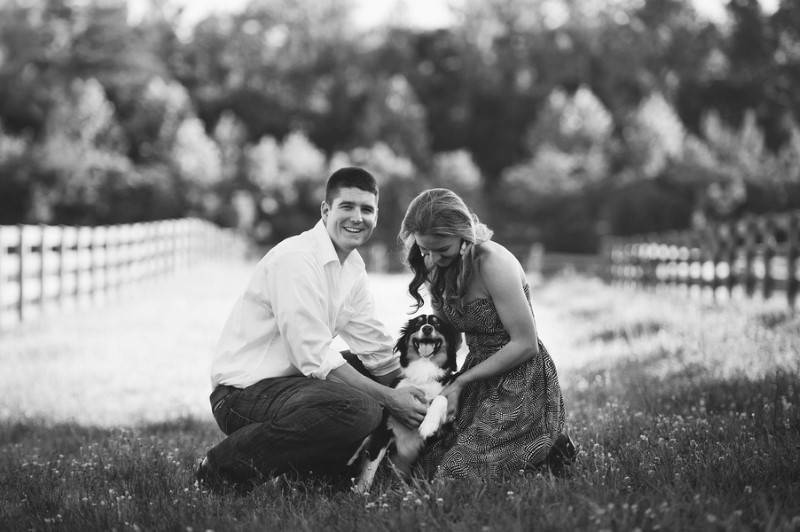 Their engagement session was held at the Dragonfly Farms in Virginia where the couple was able to hang out with some of the animals, including their beloved pet dog, Zipper. 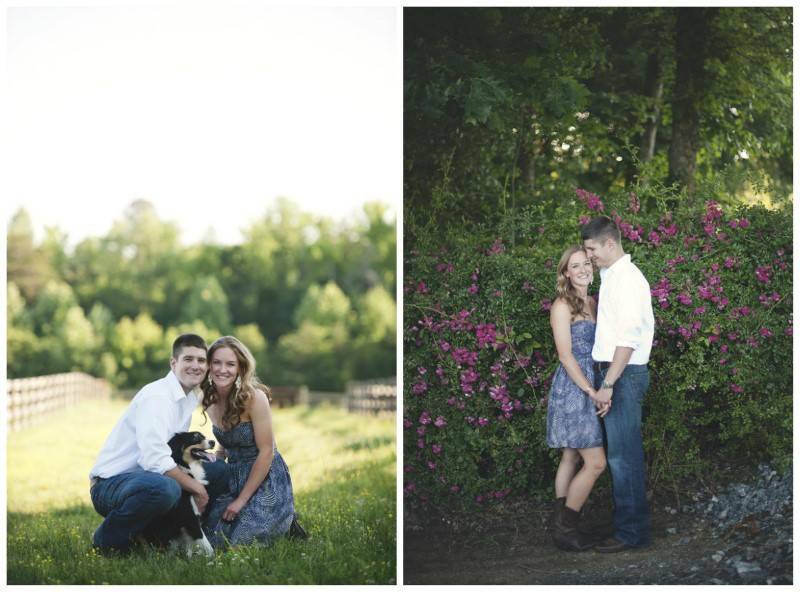 We just absolutely enjoyed how casually fun-filled this engagement shoot was. 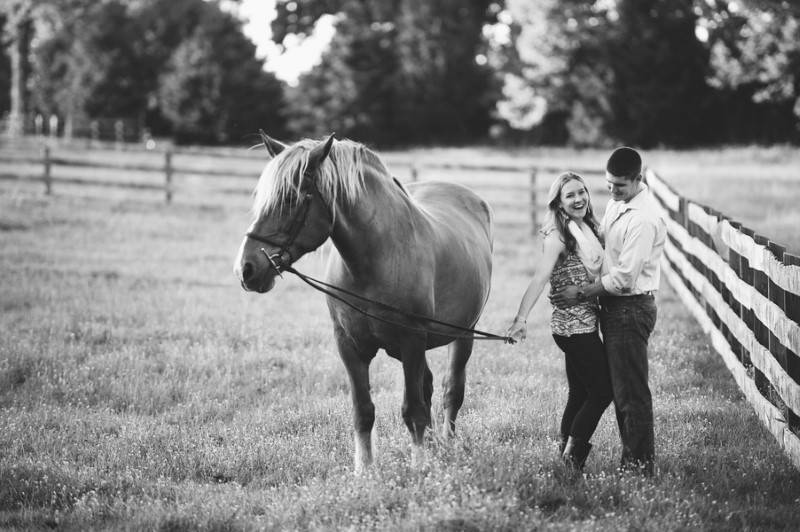 It was just full of love & happiness! 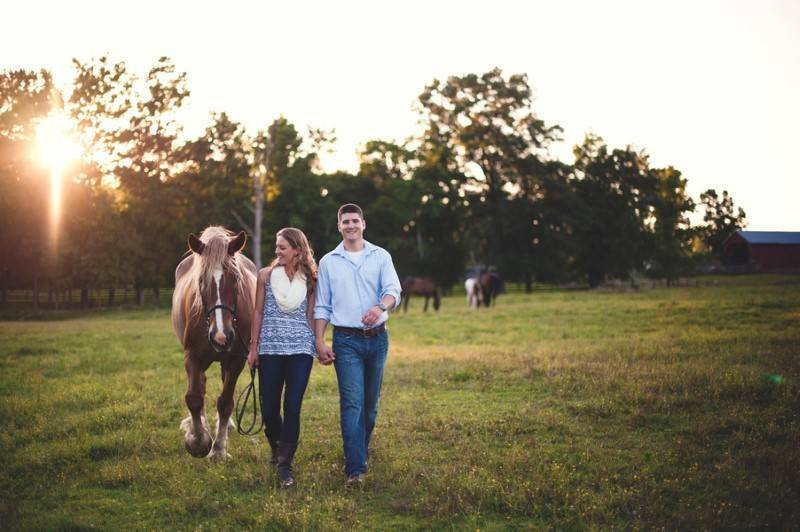 Cheers to a happy Friday everyone! 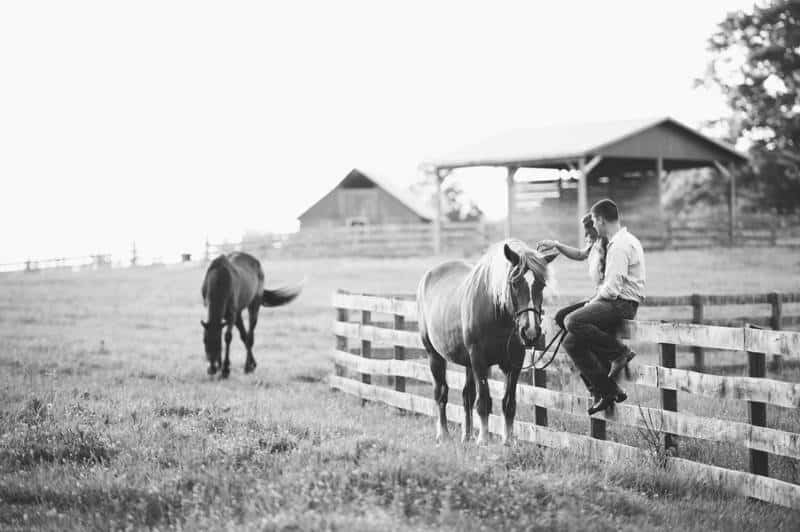 Loved this photo set but the black and white images are particularly powerful and it just seems so natural with the horses.